Whether you are a nationally-known band looking for an ideal studio “hideaway” to create your next album, or an “up and coming” Phoenix group that wants to crank out a new single for iTunes, or a AZ songwriter who needs to cut a quick song demo — you have found your recording studio home with us. Our recording studio was designed and built by owner Sandy Lamont to be quiet, warm and lively — big enough for the whole band, yet warm enough for the most intimate vocalist. Sandy’s 45+ years of engineering, acoustic design and music production experience give him a unique set of creative credentials, combined with a positive passion to create great music in every session. The laid-back and relaxed design and décor of the studio help you feel right at home while you put together your musical “masterpiece”. If you’re a musician or producer working in a home studio, we are available for those critical details, such as real drum overdubs, piano overdubs, vocal overdubs, real plate reverb and other pro recording studio technology and equipment, including analog 16/24 track tape equipment. We also keep a number of instruments, vintage and contemporary, available for your session at no additional cost. Our control room and mixing suite features 2018 ProTools HDX with 32 I/O. You will find our session rates very affordable, with significant discounts for sessions over 8 hours. Booking rates for multiple days are negotiable. $50 per hour, up to 8 hours. $40 per hour, for 8 hours or more. Multiple Days: Please request a quote. Producer Discount for Larger Projects: If you are a producer and do not need an engineer, Lamont Audio offers additional discounts for larger projects. At Lamont Audio, we strive to provide a professional, friendly experience to keep your creativity flowing. All of our analog equipment is custom built, giving you a product you won’t find anywhere else. “Traveling is not an issue when you know you're going to be working with a solid professional like Sandy Lamont. I've recorded in many studios through the years, and my preference has always been for Sandy's excellent ear and masterful touch, both as an engineer and producer. I wouldn't hesitate to recommend Lamont Audio to anyone, and I think that says it all. “I have produced many projects such as Dr. K, Mix Minus Masters and mixed a CD for the Arizona Dixieland Jazz Association from live tracks at Lamont Audio. Every time, I come away with a winner! Talk about a sweetheart board! State of the art and user friendly. Compression, Noise Gates and Limiting, it's all in there. “We recorded our first album, at Lamont Audio with Sandy. His pricing is stellar, he is a master of his craft, and he genuinely cares about the music he is recording. He took the time to get to know us and our project, and he flawlessly mixed the finished product to our liking, even taking extra time out of his own busy schedule to help us perfect the mix as much as possible. “The atmosphere was so inviting and exhilarating that we didn't even need drugs! Sandy was heroically patient with our antics and even supplied cream and sugar with the coffee. The days always started with the same smile and ended with a CD in our hands. The final product, an innovative seven song demo has successfully bridged the gap between our band and a deal with a major record label. Thanks Sandy Lamont! “I've completed 2 CD projects at Lamont Audio. I think the custom equipment Sandy builds sounds a cut above the rest. “The studio itself is a dream. We were able to track guitar and drums simultaneously, and the quality of recording is incredible. The studio truly has a character all its own. We also were able to choose whether we wanted to record digital or analog, which is an option that not many places offer anymore. There are also many instruments available for use in studio, such as a 12-string electric guitar, acoustic guitars, an electric sitar, and a slide guitar! “Sandy, we just wanted to acknowledge what a pleasure it was to work with you as we recorded our CD! Your subtle, patient personality, the nice feeling of privacy and lack of distractions were the perfect combination to allow us to get the best out of ourselves. I have recorded with Elliot Randall with members of Steely Dan and worked with an engineer who recorded the Rolling Stones and you are certainly on their par. We are working on new material and expect to see you in the summer. 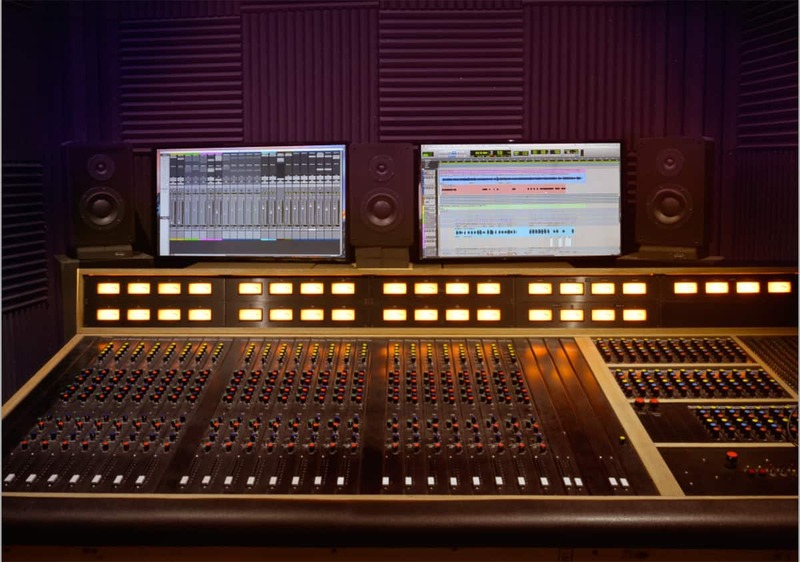 “Being relatively new to 'real' recording studios, I did not know what to expect. As it turns out, I could not have picked a better studio than Lamont Audio! Very comfortable to record in. Great sounding room. Sandy has more knowledge about recording than most people do on their instrument, plus he is great to work with. And the final recording was amazing. “Sandy Lamont is the best kept secret in Phoenix. I pulled my project out of Los Angeles once we heard the mixes, a significant difference. I have produced several records and this one is the best sounding! I wish I found him ten years ago…!!! “Sandy at Lamont Audio is the best engineer and studio owner I know -- hardworking, pleasant and helpful. And by the way, very reasonable. “When the project was finished, we received a master copy and a few basic CD copies as well! Truly an extraordinary experience; Sandy will definitely be at the top of our list for our future projects! He's a cool cat. And he cares. Which is hard to come by, especially these days!! 5 Stars. “Sandy is very friendly and above all, a professional. He takes his time in rendering music from rough draft to perfection. He listens to the needs of the artists and put forth all his time, energy, and heart in to meeting the quality and sound they are looking for. I highly recommend Lamont Audio to anyone. “When I get involved in a production project in the Phoenix area and have the authority to make a choice of recording studios, my first choice is always Lamont Audio. Sandy Lamont is an exceptional engineer and his facility offers the finest analog and digital recording technology available. Because Sandy is also a fine musician, he approaches a project from both an engineer's point of view, and a writer/musician's point of view, resulting in a professional and satisfying product. You are guaranteed a relaxing, stress-free and productive experience at Lamont Audio. Try it for yourself and see!